When I bought the car back in 2017 it was never meant to be a project. At that point I didn’t have a driving license, having postponed it over the years (mostly living places where public transport was readily available or where my earnings just couldn’t justify the running costs of a car). 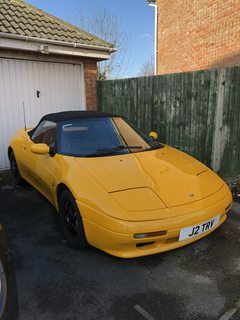 The Elan had been my dream car as a young boy, whiling away the hours playing Lotus Turbo Challange 2, and now I was finally in a position where I could both afford the car and it’s running costs, my plan was just to drive and love my perfect car with a big silly grin on my face. I knew that Lotuses would require more love and attention than I gave to the family Audi, but I hadn’t appreciated exactly what that would entail. Since taking ownership the work on the car has been two fold. Maintenance to keep the car on the road, and some small improvements to enhance usability. The first changes came after the MOT. The car did pretty well but failed on emissions. A problem exasperated by the lack of driving it had had before I passed my test and the fact the MOT was scheduled for the depths of winter. In an attempt to fix the issue I purchased a air filter and booked in Williams Automotive to have the CO pot adjusted. Reasoning that if I was buying parts for the car I wanted them to be best I could find I opted for a washable free flowing K&N filter for the existing air box. I read a lot of threads on here about the idea of an open induction system, and decided even with the arguments around hot air input vs ready air flow, that all in all... there probably wasn’t very much in it. On that basis I opted to stick with the air box and trust that Lotus knew more about engines than I did. As it turned out the original filter was in pristine condition (probably having been replaced by the garage before I bought it), but I figured the move to a freer flowing filter was unlikely to be a bad thing. After much fettling by Williams they manage to get the emission within tolerance... but only just. I decided somewhere down the line I'd have to move to a closed loop system, as the cost of booking into a Lotus specialist once a year was just too daunting to consider. Next up I began to consider some upgrades to improve general quality of life. I was still without a license at this point, but even so I still felt the interior wasn't a particular prepossessing place to be for any length of time. I was actually quite lucky with the car, aside from a bit of general wear to the seats (nothing too surprising considering the age of the vehicle), the interior was actually in really good nick. I hummed and hawed about preserving originality over any changes I might make and what it might to do a future resale value, and came to a couple of conclusions. I wouldn't touch the exterior, it was Peter Stevens original design I'd fallen in love with and I couldn't see much I could do to improve on that look. Anything I did in the interior I would purchase a replacement part for and work on that, that way I could put the car back to original specs without affecting it's originality at all. I saw a post on Facebook for a trimmer (Inspire Automotive) who had been tasked with retrimming a set of M100 seats, and they looked amazing. A quick trawl through the rest of his work confirmed a general high standard. So I figured I'd give him a try. Initially I sent off the gear gater and binacle cover (which I'd managed to obtain from eBay). 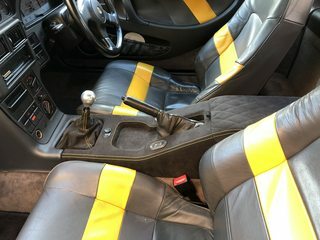 I asked for a simple black alcantara recover on the binacle cover and yellow accent stitching on the gear gater. Neither item was wildly expensive, so if there were any problems I wouldn't have too much to lose. Sean at Inspire expressed some concerns about the binacle cover, the vents at the front would be particularly tricky to trim due to the sharp edges and lack of space within. After a bit of back and forth, we were able to establish that the vents were purely cosmetic (not actually having any air passage into the binacle itself), as so opted to skim them with fibreglass to flatten out the top of the binace and make a feature of the screws using a pair of nice round headed allen screws in there in a bright metal finish. The items that came back were of a fantastic quality, the only small snag was Sean had misinterpreted the orientation of the gear gater and the feature stitching was down one side rather than head on. However he quickly retrimmed gater he had in for another project and we swapped them over. After the retrim came the next problem. Still without a license at this point, my wife took the car up to the local supermarket to give it a bit of a run. The car was fine on the way up, but starting it in the supermarket car park it was making a hell of a noise. She carefully limped the car home. After call to the AA we were able to establish that it was only firing on 2 cylinders. After a brief and very helpful conversation with the fine folks here on LEC we were able to confirm it was the injectors at fault (due to which two cylinders were out), and that it was probably only a single injector causing the problem (due to them being in pairs). Thankfully we had a fuel injector specialist in Bristol, so I dutifully booked the car in and my wife limped it down to them for inspection. They pulled the injectors and set about dismantling and cleaning the injectors. Unfortunately even a full ultrasonic cleaning one of the injectors still couldn't output at the required capacity. 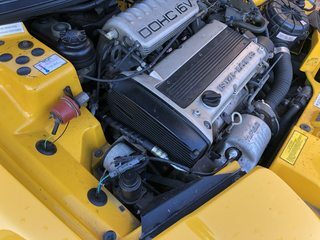 I had a look around and came across an auction for a set of uprated 550 injectors, having read some info on LEC about upgrading injectors I purchased these second hand ones and picked up a 3 bar map sensor... it was around this point I completely lost my bottle with the project. While the injectors should work in theory, I didn't really know enough about what I was doing here to risk it. I decided to cut my losses and order the correct size (320cc) RC racing fuel injectors instead from Fuel Performance in the UK. These arrived and Tom Day fitted them quickly there after (I still have the 3 bar map sensor and the 550cc injectors... I must get around to trying to sell them at some point). In addition they freed off the wastegate on the turbo which they found was sticking, and the car was back on the road again. Next up was another cosmetic change I decided to swap out some of the jubilee clips for Mikalor clamps ones instead. In theory they attach more firmly, but mostly I just like the look. I took the opportunity to replace the rubber grommet around the exhaust hose as well which had perished to almost nothing, a fuel tank head grommet from an Austin Healey proves to be a perfect fit (once you've taken rubber mallet and a jug of boiling water to encourage it into place). Then in August I finally passed my driving test and began using the car as my daily commuter for work. As a treat for this I decided to replace the gear knob with an aluminium one from an Elise. It's a direct fit for the shaft on the Elan and has the advantage of not needing a grub screw to keep it fixed in place. I like the look and plan on picking up the metal theme with a set of metal and black stalks for the windscreen wiper and indicator. Next up came the closed loop conversion. I picked up an oxygen sensor and reached out to Alan to get the mountain chip. I decided this was one of the few jobs I could do myself and set about fitting the chip and oxygen sensor. The chip was a nice easy process, and Alans documentation was easy to follow. 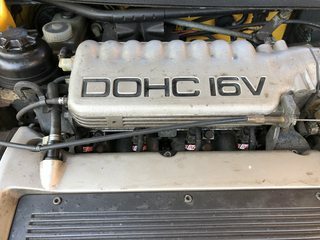 The plug on the turbo was much less so, with the combination of a week of spraying Plus Gas Penetrating oil, a 3 foot long breaker bar and a hot engine (and the slight niggling fear that additional bouts of Plus Gas were going to set the entire engine bay on fire), I was able to shift it. The new chipped car runs like a dream... however... I now get overboost and injector cutout when accelerating particularly hard. I think the combination of the new injectors and the free flowing air filter have meant that the wastegate can't cope with the volume of air it's trying to shift... so somewhere down the line I will need to get the wastegate on the turbo bored out. Some time after this came the next maintenance job. An unpleasant vibratory whirring noise started from the offside front. A quick trip to my local mechanic confirmed that the wheel bearing had gone, so he replaced that and I was back on the road. Next up I was setting off for work and found the steering making a horrible grindy crunchy noise. Turning the car around with the steering incredibly heavy revealed a snail trail of fluid from under the car. I dropped it back in at my friendly local mechanic, who was able to spot the power steering pipe was jetting PS fluid all over the alternator. SJ Sportscars supplied a replacement and the car was once again up and running. I now decided to return to the interior trim. I'd managed to pick up a centre console from eBay which was in a pretty sorry state, and had it sent back off to Sean at Inspire Automotive. To keep inline with the gear gater and binacle cover I went with black alcantara with an accent of an NMY french stick down the sides and the top of the oddments tray having a series of diamonds stitched in black (yellow would have been a bit much in such a small space). I got the new item through and fitted (although the old console had a lot more fixing points that then new one... one to follow up later to cut down the number of squeaks I'm getting), and I think it looks pretty good. That now brings us up to date with all the work that's already been done. Next on the horizon the following have already been paid for but are either waiting for delivery or else just waiting on the fitting date. First up is a big brake kit from PNM Engineering. I compared this and the HiSpec kit (being the two that are still readily available... Wilwoods looked nice, but it looks like the mountings for them were a limited group buy of a few years ago). General consensus appeared to be that HiSpec had fairly hit and miss customer service, and that while PNM were generally more expensive (despite just being a whitelabelled version of the same kit), it was worth it should anything be missing from the order. These were ordered at Christmas and should be through shortly. Again I'll be getting my friendly neighbourhood mechanic to fit them, as the idea of fitting components that my life depends on, just doesn't fill me with confidence. At the same I time I went for a bunch of highly unglamourous but necessary purchases. I'm booked in to fit a complete set of new tyres, my existing ones being 10 years old at this point. My big issue with the tyres were the lack of premium brands that offered All Season tyres. I assume our 15" size has become unfashionable in recent years. While there are a number of ok makes out there for summer tyres, my plans for this as my daily mean I want to ensure I can use it whatever the weather. Having spoken to a friend in the tyre industry he recommended Michelin CrossClimate+ as being the best tyres he's had on any vehicle. They don't do these in the correct size, but as they have a winter application I can legally step down to slightly smaller tyres (0.3% smaller in this instance) and have ordered a set of 185/55 R15's. I also opted for Nitrogen inflation for an extra £1.50 per wheel... because... why not. Whether it actually makes a difference I don't know. I also decided while the car was up on the ramp to get the brakes done, I may as well have the oil and transaxle oil changed as well. I suspect the oil was done when I first bought the car, and with the limited miles done it's probably fine... but at least this way I'll know the dates on it all. The gearbox oil seems less likely to have been done, and anything that improves the reliability of the car is worth while. Finally I'm planning on booking into have the wheels realigned. Having had to dodge a bus that decided he would rather drive on my side of the road than his own over a very narrow bridge, I've now got a pull to the right after the tyre impacted the curb. I'd done a search on the Hawkeye system to see where could do this locally. Protyre came up and had generally good reviews... right until you get to my local branch, who get utterly slated time after time. I've found an independent place instead that only does wheel alignment, and so will reach out to them in the next few days to get something booked in. I'm planning on waiting until after the brakes have been done, just in case anything there alters the alignment further. So that's my journey as a Lotus owner so far. I'll report back on how the odd tyre sizes go once they've been done, and will undoubtedly be back with additional question as more changes. Thanks to all members of LEC for the support they've offered getting me this far with the car. Great posting and very sensible progressive work in more or less the right priority. Brakes before chip would have been the "right" order, but hey I did it the wrong way too!! Before you have a full geometry set up done, I would suggest you get all the suspension and raft bushes checked as these can have a big effect on suspension alignment. PS I can recommend fitting heated seat panels as an easy and cost effective interior upgrade! Fredjohn wrote: Before you have a full geometry set up done, I would suggest you get all the suspension and raft bushes checked as these can have a big effect on suspension alignment. That's a good shout, I'll have the mechanic give them a once over when he's fitting the brakes, thanks. Am I right in thinking the soft original bushes are now OOP and we're stuck with the hard poly bushes as replacements? I'll be there with bells on. I came to last years event as well, but without a driving license or a car with me I felt like a bit of a fraud and just skulked around in the shadows. Fredjohn wrote: PS I can recommend fitting heated seat panels as an easy and cost effective interior upgrade! What I really want at the moment is a heated steering wheel. Our garage is a pretty typical dumping ground, so there's no space for a car within, and sat on the drive that wheel gets bloody chilly in these wintery mornings. When it comes to alignment I recommend South West Lotus. They are down on the Devon/Cornwall border just off the A38. It sounds like a long way to go (it took me about 2 hours, will probably be the same for you), and they will charge you more for it, but my local alignment people (including one in Bristol) didn't get it right. I too phoned an independent in Bristol who only does wheel alignment. He had done my MX5 a few years ago, but didn't seem to be interested in the Elan. He made lots of excuses and then promised to call me back. He didn't! Your car looks great though, I wish I'd waited for an NMY! 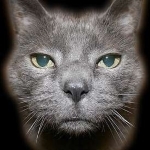 Bern wrote: I too phoned an independent in Bristol who only does wheel alignment. He had done my MX5 a few years ago, but didn't seem to be interested in the Elan. He made lots of excuses and then promised to call me back. He didn't! Was that FCM Wheel Alignment? That's a pity if so, they've had some excellent reviews. Bern wrote: Your car looks great though, I wish I'd waited for an NMY! Oh that's good to know. I may be back asking for part numbers in which case after I've had them given the once over in that case. Thanks for the tip. Bern wrote: Was that FCM Wheel Alignment? That's a pity if so, they've had some excellent reviews. It was. As I said he did my MX5 and he did it well, setting it up for how I wanted to drive it - so I had no hesitation in calling him again. His main excuse was that in order to adjust the front camber he may need to order in the special washers, and that would take time and he'd have to keep it overnight. And possibly turn away other customers at a time when he was busy! Not sure all of that added up, if he'd let me know how much it was out by I could've ordered and fitted the washers and taken it back for a re-check. But he never called me back anyway! Probably worth calling him, maybe he'd be more willing now? I'd love an Esprit, especially a series 1, but they are way out of my price range now! Sounds very much like "I couldn't be arsed"
I'm fairly sure the front caster shims can easily be cut from the right thickness/type of metal. I think Dave Pink has done this in the past ? Yep, cutting the caster shims was done by laser cutting - with a minimum order of 200 units (we did about 500 in the end as a group buy, and they worked out a lot cheaper than Lotus prices, in stainless steel)...... but as long as you have 8 each side of the car, they only need to move them from one side of the top balljoint to the other and keep the same 8 shims in total, so you shouldn't need any (unless it was badly set up previously, and some were removed). The camber shims are simple enough to make out of a piece of 3mm steel plate (again, I used stainless, but it doesn't have to be) - just cut into the correct size squares (about 10mm IIRC) and drill accurately..... I didn't have a pillar drill handy, so drilled the M6 holes first, then trimmed the edges down to put the hole in the right place off-centre. The Workshop manual tells you the purchase options from Lotus, and it is a simple matter to measure the current camber, and if it needs adjusting, then each 1mm of hole movement equals a set number of angle adjustment - so select the right part number and bobs yer uncle...... obviously, you need to take out the current ones to measure where the hole is to work out what you need - but by that time, you can simply make up a new one with the hole in the right place. If the mechanic has the facilities of a pillar drill, an angle grinder/cutter, an offcut of steel plate and a ruler it can be done in half an hour tops (assuming that the balljoint bolts aren't seized solid!). If he can't be bothered to do it, then it is simple enough to remove a shim from each side of the car at home, and measure it - replace it and drive to the garage. Check the setting on their machine, then work out what you need to make/buy and fit them yourself later. dapinky wrote: (assuming that the balljoint bolts aren't seized solid!). which they more than likely will be. Initially he was mixing the Elise up with the Elan, and said something about the rear camber. I said the rear camber is easy to adjust, but the front may not be. The ball joints and bolts on mine were new at the time, though I did have to cut the originals off! That's one of my favorite colors. Nice car! Can't wait to see more upgrades.